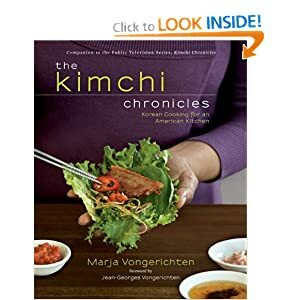 I love Kim Chee and I'm always looking for new ideas and ways to integrate kim chee into my favorite dishes. I came up with this winning combination of spicy, savory, salty kim chee nori popcorn! 1. Preheat oven to 350°. In a large bowl, toss together kimchi, sesame seeds, sesame oil, sriracha, and popcorn. 2. Spread popcorn mixture in a single layer on parchment-lined baking sheets; bake for 5 minutes, stirring occasionally, rotating trays halfway through. 3. While popcorn is still warm, sprinkle with chopped nori.